“I was a goner. They sent me home to die.” This is how Randall Waugh, founder of Chicaoji, started to tell me the story of the event that changed his life. In 2010, Randall’s liver failed. After preventing him from dying immediately, the doctors at St. Joseph Hospital gave Randall a few months to live, signed him up for Hospice, and sent him home to Lopez Island to live out his remaining months. Not satisfied with the terminal prognosis, Randall’s wife, Annie, sought out alternative medicines. That’s how they found Helen Sanders, a specialist in Eastern medicine, who put Randall on a dietary regimen of Congee, vegetable drinks, and eventually other foods. Helen’s guidance, along with Annie’s meticulous care, prevented Randall from dying as predicted. Five years later, he is running a thriving business on Lopez Island – Chicaoji. Randall steadfastly believes that food is medicine. 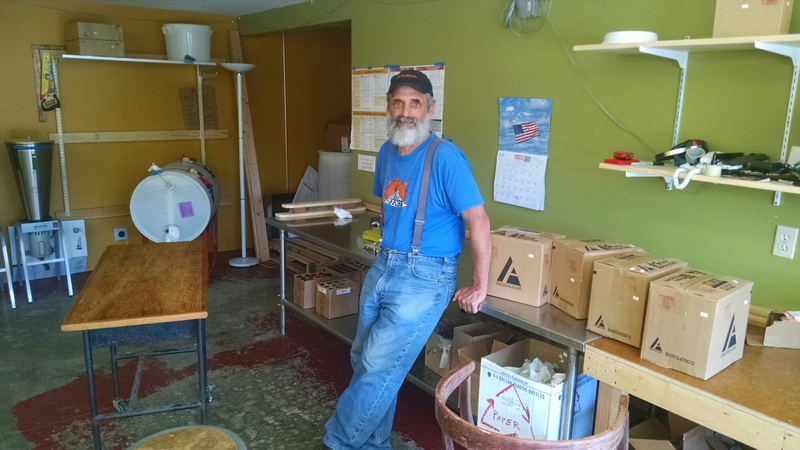 Randall recently invited me to Chicaoji Headquarters in the center of Lopez Island to hear his story and check out the operation. Chicaoji is distributed to more than 130 stores across the United States – reaching store shelves as far away as Santa Monica and Manhattan. Long before I met Randall people from near and far were telling me about this awesome sauce, which has earned a permanent place in my family’s refrigerator and on our dinner table. Knowing its popularity, I had been envisioning a large-scale production facility. So, I was amazed to find out that Chicaoji is mixed, bottled and shipped out of a small space measuring about 500-square-feet on Lopez Island’s Dill Road. 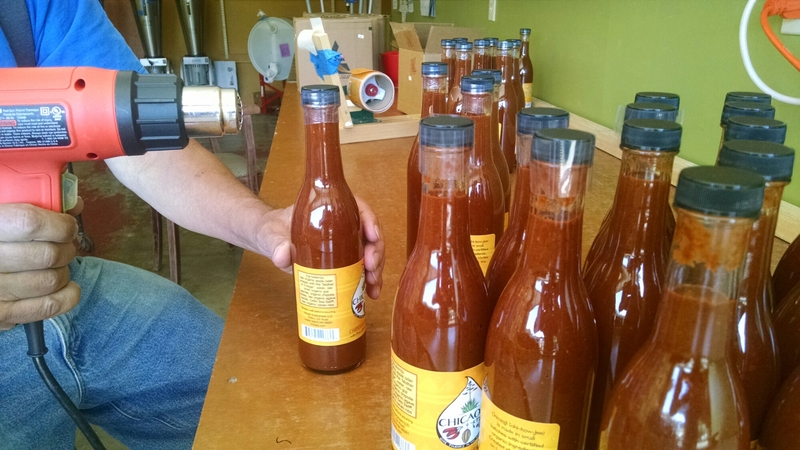 Randall is justifiably proud of his operation, which produces 40 gallons of sauce every week and recently received its organic production certification. He took me through every step of the process, It’s fairly labor intensive – from hand measuring ingredients that go into a modestly-sized blender, to the hand-tightening of caps on each bottle. Randall pays fellow Lopezians to help him out with this production a few times a week. 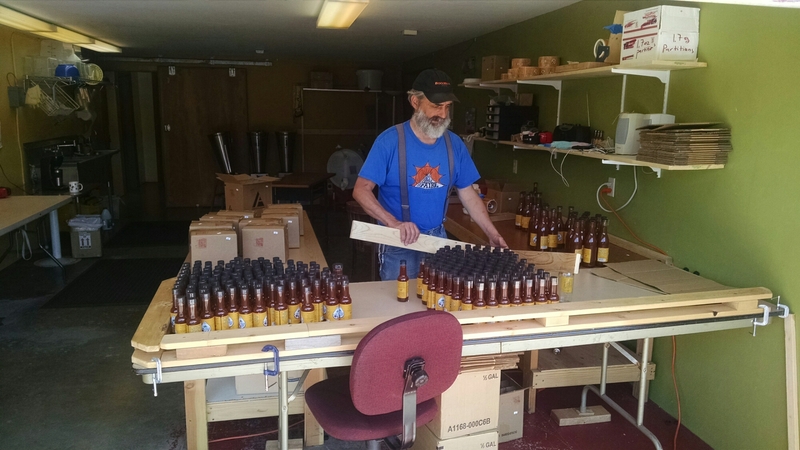 Here’s what the bottling process looks like. I asked Randall if he plans on scaling up the operation, given how popular Chicaoji has become without much marketing at all. “Every once in a while, there’s the temptation to turn it over to processors on the mainland,” said Randall. “Chicaoji is distinctively Lopez, and my goal is to keep it here.” He says he’d love to grow the business and could easily produce six times the amount of sauce he churns out today in the space he has now. Randall loves selling his sauce at the Farmers Market, which besides his website is pretty much the extent of Chicaoji’s marketing. But he doesn’t’ have the time nor the interest to invest in broader marketing efforts. It would seem like this would be a great opportunity for a younger Lopezian who wants to go into business right here on the island. Randall would welcome the help. Haven’t tasted Chicaoji? It’s available in all the stores on Lopez, and probably another 100 across the Pacific Northwest (as well as a few stores in Santa Monica and Manhattan). Interested in checking out how it’s all made? I’m sure Randall would welcome a visit to Chicaoji Headquarters – especially if you’re willing to twist a few bottle caps and slap on a few labels. Great story, Tim. A good example of Lopez spirit and ingenuity (I love the improvised pencil handle on the label dispenser). I also posted a link to an earlier post of yours about Shark Reef Sanctuary on the SHARK REEF Literary Magazine Facebook page – thanks for the images of this place that we at SHARK REEF love. We love Randall and Chicaoji! Quality people and the best chipotle sauce ever!!! Am I supposed to call Randy “Randall” now?